This webinar helps individuals understand how we experience love, loss and grief. Although most individuals naturally adapt to the most difficult losses, some develop complications that prevent the process of adaptation from moving forward. 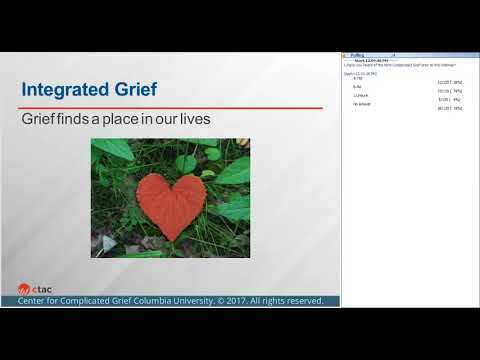 This webinar helps individuals understand how to recognize the syndrome of complicated grief and recognize factors that block the process of adaptation to loss.